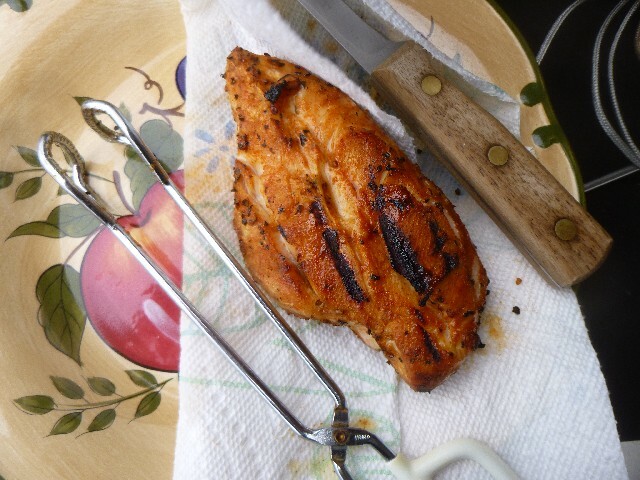 I have these boneless/skinless chicken breast in the freezer that are feeling a little left out of life. So, what the hey; might as well put one of them back in the game. So, I thought and thought and thought; how can I make this a special treat for one of them. 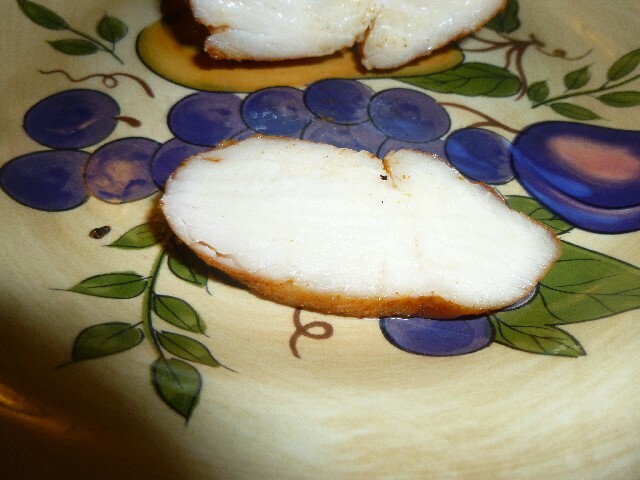 Eureka; sous vide (SV) and finish on the grill. Found a couple of recipes and investigated them and asked around on this and other sites for some tips and or pointers as to how to proceed. The help was forthcoming in abundance. Thanks to all y’all that pitched in for this cook. Much appreciated. 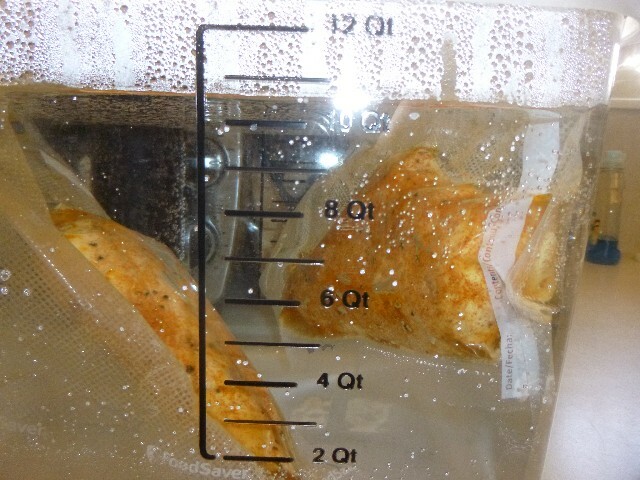 I sealed 2 breasts separately and selected an SV temp of 150F and left them alone for about 4 hours. I added some locally manufactured chicken rub from one of my go to premium meat butcher shops. 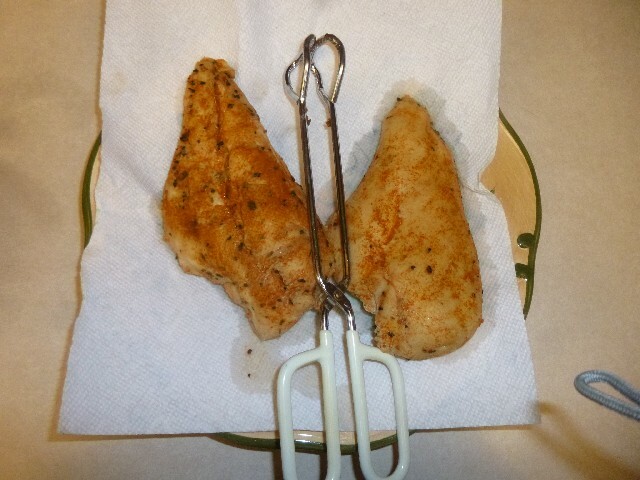 After the 4-hour bath, I put one breast on the grill to finish and the other breast went on the sear box to finish. 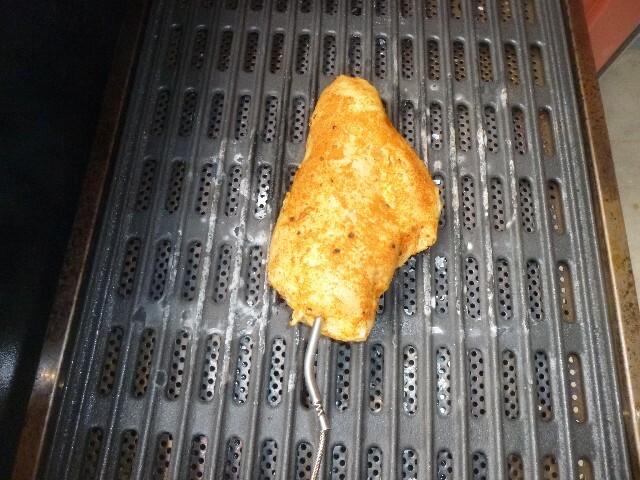 I kept an IT probe in each and didn’t let either one get above 150F during the finish grill. The inside meat was very, very moist and tender. As good as those roasted chickens you buy at the market when you just don’t have the time or desire to cook something at home that day. The outside meat was tough and leathery. Thankfully it was only about 1/16 inch thick. I wasn’t impressed at all with finishing them on the grill/sear box. But they WERE skinless. I’m thinking that in the future, I should probably just do the SV on skinless chicken and do skin on chicken on the grill. Does that sound good to all y’all? And it isn’t a cook unless there are pictures, so here’s a couple. 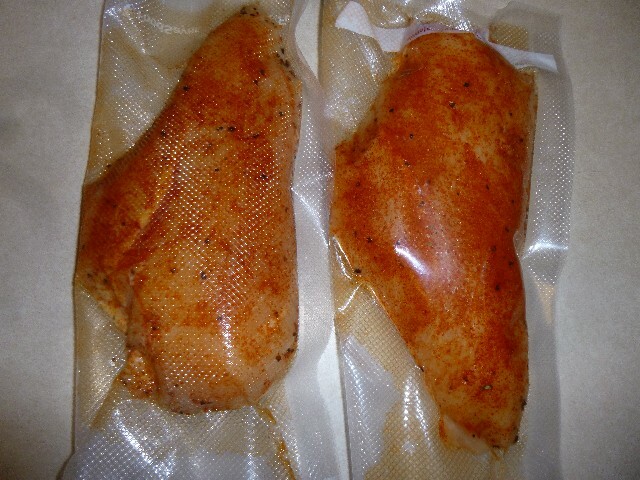 Here they are ready for their spa soak with rub applied. Lounging in the hot tub. 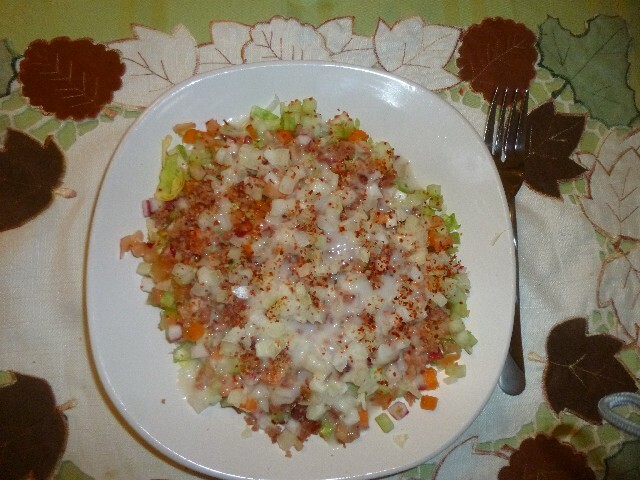 And what would any meal be with out a good salad loaded up with lettuce, onions, radishes, cucumbers, celery, tomatoes, bacon bits and then topped off with some very finely chopped red peppers and Ken's Steakhouse Sweet Vadalia Onion dressing? Last edited by dubob; 03-29-2019 at 09:12 AM.